Iran's Khamenei: Nuclear arms use "unforgivable"
(AP) TEHRAN, Iran - Iran's supreme leader said Thursday that the pursuit of nuclear weapons is a "big and unforgivable sin" but he insisted Tehran will not abandon its "peaceful" atomic program. 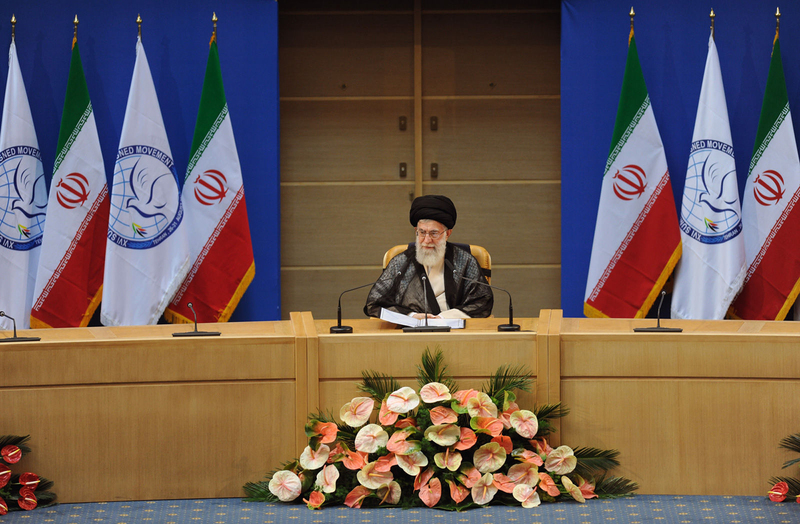 Ayatollah Ali Khamenei spoke at a summit of the 120-member Nonaligned Movement. Iran says the gathering of mainly developing nations in Tehran shows that Western sanctions imposed over the nuclear issue have not succeeded in diplomatically isolating Iran. The United States and its allies suspect Iran is trying to develop nuclear weapons, a charge Tehran denies. Iran considers the use of nuclear weapons to be "a big and unforgiveable sin," said Khamenei, who has the final say on all state matters in Iran. "I declare that the Islamic Republic of Iran has never been after nuclear weapons and it will never abandon its right for peaceful use of nuclear energy," he added. Iran insists its nuclear program is meant only for making reactor fuel, medical isotopes and peaceful research. But it refuses to give up uranium enrichment, which can produce both reactor fuel and the core of nuclear warheads, despite offers of fuel from abroad. Khamenei accused the world powers of hypocrisy, saying they are stockpiling nuclear arms for deterrence and to boost their international dominance. "Nuclear arms have neither provided security nor boosted political power," Khamenei said in a speech broadcast live on Iranian state TV. He singled out the United States, calling the U.S. opposition to Tehran's nuclear program a "bitter satire" because of the size of the American nuclear arsenal and the use of atomic bombs in Japan during World War II.